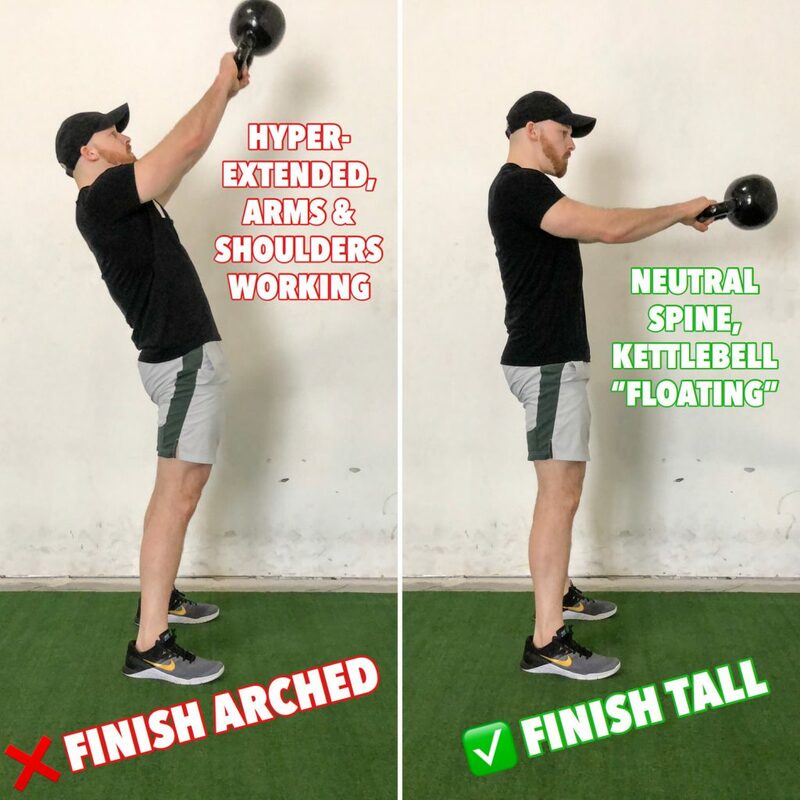 The kettlebell swing is a hip hinge, NOT a squat. Keep soft knees (slightly bent), but don’t bend them further as you move through the exercise. Instead, break at the hips- pushing them back and forth as you go. 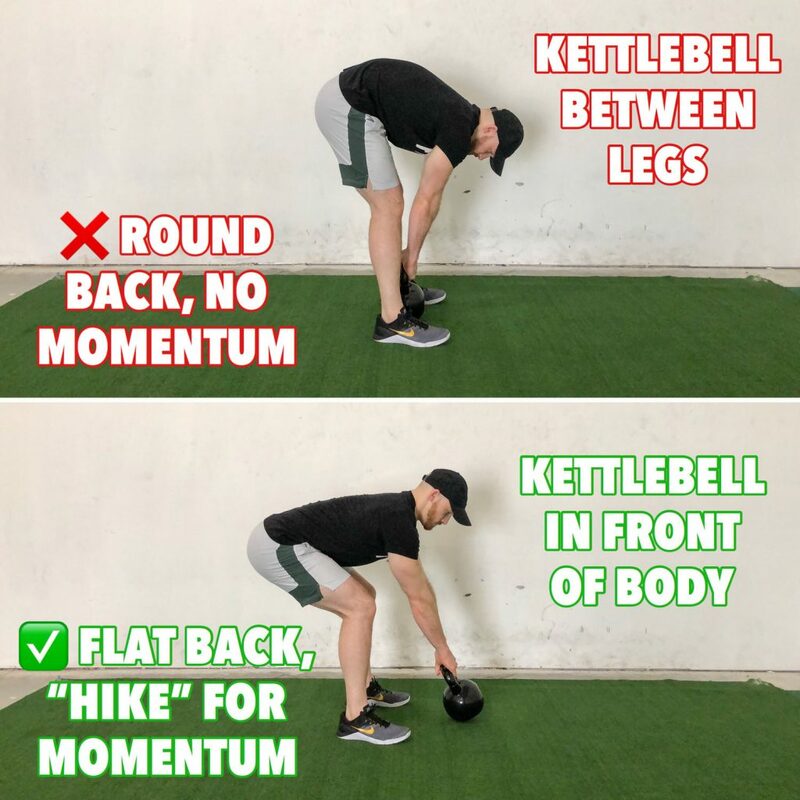 Don’t let the kettlebell sink below your knees. Doing so will put a ton of pressure on your lower back. 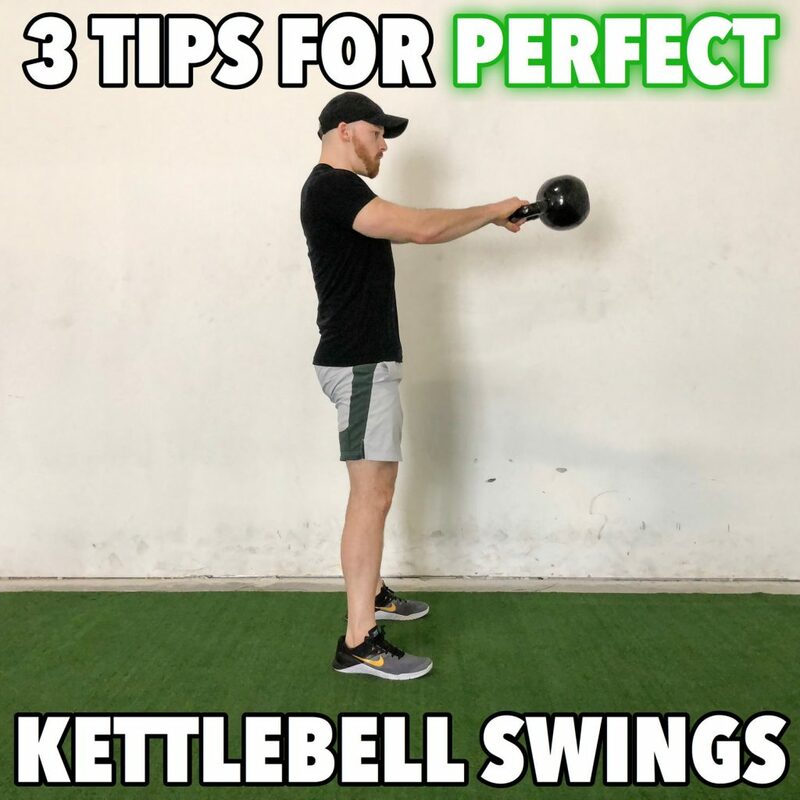 Instead, keep it close to your groin, using your hips and posterior chain to explosively propel the kettlebell forward. About the Author: Kevin Warren is a NASM Certified Personal Trainer and Strength & Conditioning coach at Paradigm Training Center in Houston. He is also a nationally qualified NPC Physique Competitor and published fitness author.